INTERNATIONAL- Can global mobility survive the Brexit bubble? With Brexit only a matter of months away, the ability of global mobility programmes and international businesses to survive and thrive in a new economic environment is increasingly coming under the microscope. Contributor Phil Smith, Global Director, Financial and Compensation Services – Crown World Mobility. The big question being asked in the sector, especially by HR and recruitment teams, is: “How much more difficult a UK independent of the EU will make international assignments and international talent management in the future?” A survey was carried out with professionals across Europe who work for companies offering international assignments – the very people whose working lives could be most affected by Brexit. The aim was to find out what businesspeople in Germany, Ireland, the Netherlands and the UK feel about Brexit, what their worries and concerns are – and what the companies they work for are doing to prepare for 29 March 2019. The results produced a fascinating and complex mix of good and bad news for global mobility. On one hand, the extent of support for global mobility, international assignments and global talent management programmes was quite remarkable – highlighting a real change in the way working abroad is seen by a new generation who are hungry for experience and hungry to climb the corporate ladder. On the other hand, there is a real fear that the opportunity of working abroad could be taken away from them because of increased complications post Brexit and the higher costs involved in recruiting from abroad and sending staff away on assignment. So, let’s look in detail at both sides of that equation: Global mobility has never been more popular. International assignments are increasingly something that people want from their employers as a part of their professional development. 88 per cent of respondents across the Netherlands, Germany and Republic of Ireland said they would like to work in another country while 50 per cent of respondents in the UK and 39 per cent in Europe indicated they would even change companies to make it happen. It only goes to show that international assignments are no longer the preserve of middle management on highly lucrative expense and benefit packages. There is a rapidly growing market of younger employees who value the opportunity to work abroad. Millennials, for instance, view working abroad and experiencing different cultures as vital to cross-cultural competence and professional development. Businesses should see this as an opportunity to identify and develop strong contributors and leaders early on by offering the benefits of international assignments to young people. But Brexit presents a complex situation… Although global mobility has never been more popular and European businesspeople are clearly committed to working abroad, Brexit poses some significant challenges to the ease and availability of international assignments. We asked about what Europeans felt about Brexit and what they expect for the future. Some of the most significant results are: 38 per cent of respondents within Europe say their emotions towards the UK are more negative since Brexit – this figure spikes to 50 per cent in Ireland, significantly higher than the average. ‘Foolish’ is the word Europeans most frequently chose to describe Brexit – polling at 21 per cent – followed by ‘small minded’ and ‘deluded.’ A fear that it will be harder and more expensive to live and work in the UK in future was identified as the biggest worry by professionals in Europe, polling between 41 and 45 per cent across Germany, Netherlands and Ireland. German respondents were particularly worried about Brexit’s impact on being able to recruit and import talent from the UK with 29 per cent fearing it will be harder to employ UK citizens post-Brexit. 25 per cent of businesses in Europe revealed they are already spending more on training local staff – amid fears that hiring UK workers will become at best more complicated, and potentially more expensive, in future. 26 per cent of businesspeople worry is that Brexit could put jobs under threat. 30 per cent of Europeans may be less willing to consider working in Britain after Brexit. These results demonstrate a significant level of concern across Europe for the changes Brexit may bring. 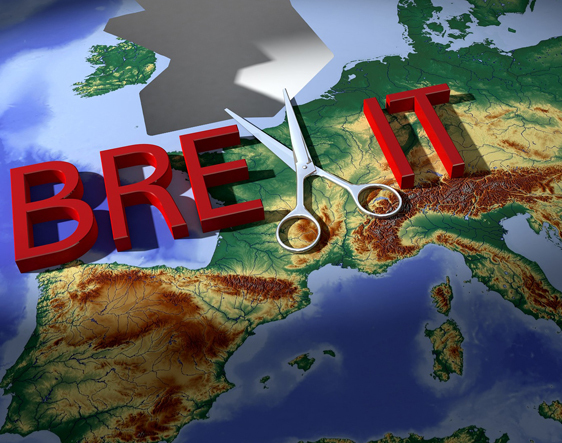 Businesspeople in Europe assume that the most significant negative impact of Brexit will be that it will be harder or more expensive to send staff to work in the UK. So, what does this mean for global mobility departments? It is important for global mobility managers to be aware of these concerns and reassure staff while mapping out the company’s programme after the UK’s exit in March 2019. But, Brexit does not have to be a doomsday scenario. It is not the first isolationist move we have seen – with the rise of anti-globalisation in the United States and Australia restricting the movement of people internationally – yet global mobility survives. Almost nine out of 10 respondents across all territories said that they would like to work in another country. These insights should give comfort, but we must also be prepared with contingency plans -including exploring new markets outside of the EU. Interestingly, our survey showed that the US is the most desirable assignee destination for European businesspeople and identified several other popular countries outside of the EU, including Canada, Hong Kong and Switzerland. Tapping into these non-EU markets may be the key to retaining the attractiveness of global mobility programmes among developing talent especially in the short term. Such challenges tend to bring out the creativity and resilience in mobility programmes and so, following a period of readjustment, we fully expect a new ‘business as usual’ will evolve.